ProCam, supported by the Justice Programme of the European Union, aims to research the connection between the audio-visual recording of any questioning of vulnerable persons and the enforcement of their rights, as advised in the Commission Recommendation C(2013) 8178/2 (S3§13). The project will research the role of audio-visual recording in securing the rights granted in Directive 2013/48, alongside facilitating EU-wide identification of good practices of recording interrogation of vulnerable persons, and the understanding of related concerns. The project remit covers analysing international standards, researching practices in the 28 EU Member States, exchanging experiences between national stakeholders, comparing Member State laws and practices, proposing reform to reinforce good practices, and disseminating project findings at the European Parliament. The six ProCam partners are the Hungarian Helsinki Committee (Hungary), Association Antigone (Italy), the League of Human Rights (Czech Republic), Fair Trials Europe (Belgium), Human Rights House Zagreb (Hungary) and the IJJO itself. The IJJO will take charge of EU research into the recording of the interrogation of children for ProCam, based on a survey involving members of the European Council for Juvenile Justice (ECJJ). 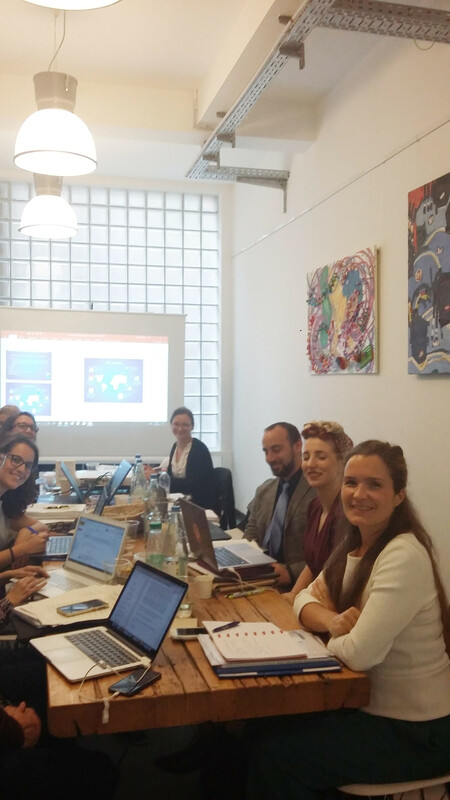 At the kick-off meeting, each ProCam partner introduced their organisation and its assigned role within the project, as well as any work previously carried out specifically regarding recording of interrogations. Nóra Novoszádek (HHC Law Enforcement Programme legal officer and ProCam Project Manager) presented a general overview of the objectives, timeframe, proposed management and finances of the project. The ProCam partners then discussed current interrogation recording practices and issues in their respective countries, and their impact on police and judicial procedures. Dávid Vig (HHC) presented recent HHC research into the effective prosecution of ill-treatment by the police in seven EU countries, which was followed by a presentation from Laure Baudrihaye-Gérard (Senior Legal Officer) on the proposed methodology and starting points for ProCam’s international research into the recording of interrogation of children. Silvia Randazzo (IJJO Project Manager) then presented the equivalent regarding EU research into the same area. This was followed by an open discussion of the issues to be covered by the ProCam research surveys, as well as their proposed format and timeline.